The fantastic bamboo pillow is everywhere. They’ve recently exploded in popularity. According to Google Trends, they’re even more popular than traditional down pillows! People seem to like them: bamboo pillow reviews are generally positive. Despite their prevalence, I only noticed bamboo pillows recently. They caught my attention for one reason: bamboo pillows appear to be a “green” product. I try to shop responsibly, purchasing products that are ecologically responsible when possible. A pillow made from the bamboo plant, a plentiful renewable resource, seemed like an environmentally friendly and safe product for a tree-hugger like myself. Don’t be fooled, hippy! This thing’s got zero green cred. The name clearly implies that a primary component must be bamboo. As it turns out, the majority are filled with shredded memory foam, a petroleum-based product. The fabric outer shell or case, is most commonly a blend of rayon and polyester. So where’s the bamboo? The truth is in the fine print: apparently the case’s rayon fabric is derived from bamboo. Yes, bamboo pillows are essentially just a memory foam pillow with a rayon pillow case. Let’s take a closer look at their claims. Are bamboo pillows environmentally friendly? 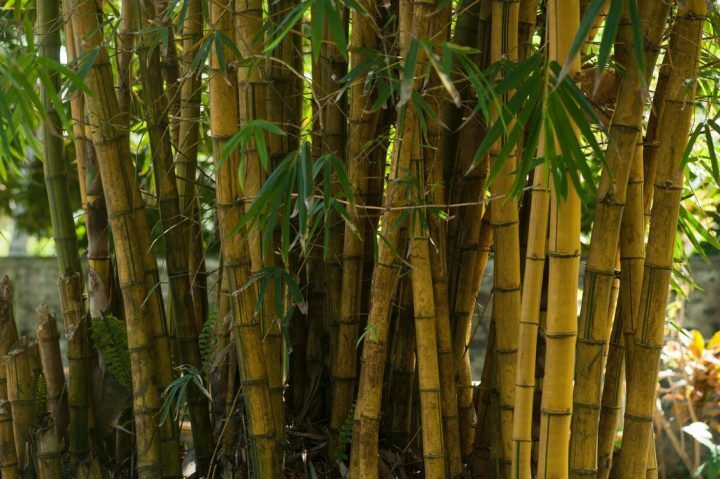 Bamboo sounds like a responsible and safe component to use in a pillow. Marketers love to use the word bamboo in their product descriptions, because it appeals to eco-conscious consumers like me. Unfortunately the bamboo fabric, i.e. rayon, cannot be considered harmless to the environment. The most common way to produce rayon involves the “viscose” process. Cellulose material derived from bamboo is dissolved in a strong chemical bath. Then it is treated with toxic chemicals like carbon disulphide, caustic soda, ammonia, acetone and sulphuric acid until it solidifies into useable fibers. Production releases hazardous air pollutants. In addition, 50% of the solvents used are dumped as wastewater. Rayon isn’t the only pollutant in a bamboo pillow. The production of memory foam and polyester both result in the release of carcinogenic materials into our air and water causing significant environmental damage. It’s also unclear if there are adverse health issues associated with long-term exposure to the chemicals contained in memory foam. Verdict: You won’t find a bamboo pillow on mother nature’s bed. It’s misleading to suggest that viscose rayon, polyester and memory foam are environmentally-friendly materials, particularly when compared to traditional all-natural fabrics and fill types. A term applied to a preparation in which every possible care has been taken in formulation and production to ensure minimum instance of allergic reactions. Are the makers of these pillows taking “every possible care” in the creation of their hypoallergenic products? First, let’s consider the bamboo pillow’s primary component, memory foam. 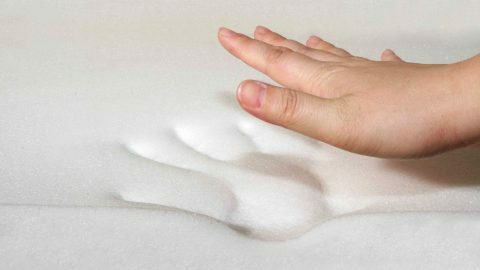 A quick search of “memory foam allergy” reveals substantial and credible user complaints. Headaches, rashes and similar allergic-type reactions are all documented issues. No credible evidence exists that suggests that memory foam is less likely to cause allergic reactions than other pillow fill types. As it happens, dust mites are the true allergy menace and no pillow type is immune to them. Dust mites are tiny organisms that live in the dust in your house and are one of the top five most common allergens. If you’re experiencing an allergic reaction to a pillow that you’ve been using for awhile, chances are you’re allergic to dust mites, not the pillow itself. Dust mite allergies are very similar to a pollen allergy except that the symptoms occur year round instead of just seasonally. All bedding is susceptible to dust mite infestations, including the so-called bamboo pillow. Verdict: To call bamboo pillows hypoallergenic is misleading. To call a bamboo pillow hypoallergenic is, at best, an overstatement. Additionally, a lack of regulation and oversight makes the term hypoallergenic somewhat meaningless. Bamboo is unique in that it contains a substance called bamboo-kun. This antimicrobial agent gives bamboo a natural resistance to pest and fungi infestation. Unfortunately, the chemical processes used to produce rayon destroys any of bamboo’s antimicrobial properties. There is no trace of the original bamboo plant’s resistance to bacteria in the finished rayon product. Verdict: A bamboo pillow is not antimicrobial. 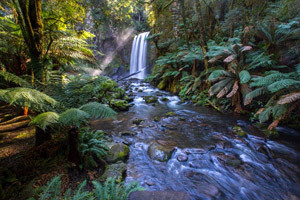 Biodegradable materials are capable of being broken down into natural materials without causing harm to the environment. Memory foam and polyester are not biodegradable. Depending on the specific types used, these materials will sit around for hundreds of years in the landfill. Rayon, is 90% biodegradable, but it is a very small portion of the pillow’s total mass. Verdict: A bamboo pillow is not biodegradable. In most bamboo pillows, only a small percentage of the fabric pillow case is truly biodegradable. A breathable pillow is a cool pillow. Most bamboo pillows, however, contain “shredded” memory foam. This shredded fill is simply memory foam that’s been torn into little pieces. These individual pieces allow for better air circulation though the pillow vs a traditional solid piece of memory foam. However, for some reason, many of the available bamboo pillows are enclosed in a foam enclosure or case (this is in addition to the rayon/poly outer fabric case) that restricts airflow. This negates much of the cooling ability gained from using shredded vs. traditional memory foam. Well, maybe the rayon/polyester blend, err “bamboo” fabric is extra breathable? It’s not more breathable than traditional bedding fabrics like linen or cotton that are well-known for their breathability. Verdict: They aren’t any cooler than traditional pillows. 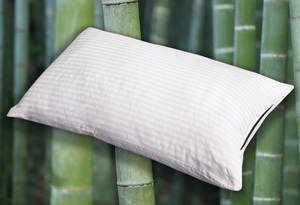 A bamboo pillow is no better at keeping you cool than a traditional pillow filled with down or similar fill. Memory foam’s reputation for retaining heat certainly doesn’t suggest that it’s superior. The U.S. government has taken action against some sellers of bamboo pillows. The settlements set a precedence and larger retailers are mostly adhering to the FTC’s guidance. However, the deceptive marketing practices remain prevalent amongst smaller retailers. At the time of writing, several Amazon sellers are making “100% bamboo” claims. Because of these actions, most reputable sellers today no longer allege that these pillows are 100% bamboo. Even excluding that simple falsity, most of the benefits of bamboo pillows are grossly overstated. The memory foam contained in most bamboo pillows is impressive. If you’ve ever felt it, you know what I mean. It has a magical sort of texture that uniquely conforms to pressure. Memory foam has the viscous properties of water, but the elastic feel of traditional poly foams. These unique characteristics make memory foam pillows very popular. If you rest your head on one, the memory foam will compresses and conform perfectly to the shape of your body. When the pressure on the pillow is released, the memory foam slowly resets itself and changes back to its original shape. This makes memory foam effective at evenly distributing your body’s weight, eliminating pressure points. Memory foam is quite good at providing support for your head and neck. It evenly cradles the weight of your head eliminating any pain-causing pressure points, allowing your muscles to completely relax. The fact that many bamboo pillows are adjustable via a zippered opening is a big plus. This allows you to fine tune your pillow’s loft (thickness) to your personal preferences. I’ve tried a shredded memory foam pillow myself. (without a rayon, err bamboo… pillow case). I was actually rather impressed. My shredded memory foam pillow was far superior to all the traditional one-piece memory foam pillows I’d tried before. 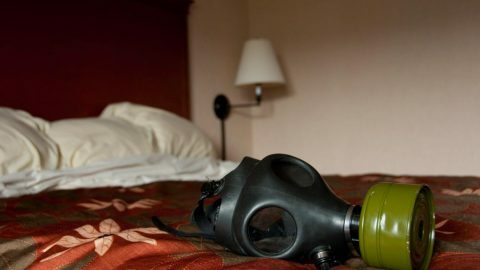 Despite the comfort, the off-gassing odor was a constant annoying reminder of the potential health and environmental associated with memory foam. For that reason, my shredded memory foam pillow didn’t win a permanent place on my bed. Try an alternative with real green credentials. As for a pillow’s fabric case, we recommend cotton. It’s the overwhelming favorite for use in bedding products for a reason… It’s soft, breathable and cheap to manufacture. Unfortunately, like rayon and other types of fabric, the production of cotton often results in toxic chemicals being released into the environment. For this reason, we encourage consumers to purchase certified organic cotton bedding manufactured to OEKO-TEX standards. Have you ever slept on a buckwheat pillow? They’re sort of like a bean bag for your head. A buckwheat pillow’s unique filling allows it to conform perfectly to the shape of your head and neck while keeping you comfortable and cool all night long. Our product, Hullo buckwheat pillow is made responsibly. We only use the best organic and all natural materials that are biodegradable. They’re safe for both your family and the environment. Try a pillow that's safe for you and the environment! I bought a bamboo pillow in the mall about 3 weeks ago. After sleeping on it, I started having cold sweats, and my bowel stools were black and tarry. My doctor was stumped from knowing what was causing it. I believe I am allergic to bamboo or the materials in it. Or the cover on it. If you can tell me if my assumption is true or am I just as stumped as my doctor. Thank you for your reply. Unfortunately, I really can’t say what could be causing your problems. Your bamboo pillow is most likely filled with memory foam, which can cause allergic type reactions for some. You might mention that to your doctor. I just bought s new bamboo pillow. Last night I woke up and couldn’t breath, cough, itchy everywhere. Sat on coach for an hour debating going to ER. Went to bed feeling perfectly normal. Threw pillow on the floor and used old pillow. Finally after another hour went back to sleep. Symptoms mostly gone this morning. Weird. Hi , I bought a bamboo pillow in November and I came down with the worst eczema in my life (all over my body ). I went on prednisone for treatment and as soon as I finished it started coming right back. I never in my life had eczema like this. I haven’t eaten or used anything different so couldn’t figure out what was causing it. Then I remembered it started the same time as I got this pillow so I stopped using it for a couple of nights . I was starting to flare up again really bad but as soon as I took it off my bed the next say I notice the eczema was much calmer. The redness wasn’t so bad and I was not so itchy.. it’s been about 5 nights now since I used it and I think my eczema is really slowed down. I have been suffering with this for months so I’m beginning to believe there is something in it I am allergic to. I hope I can return it and get my money back. Now look, I need a good nights sleep, I’m an all night truck driver OK? ,I am making some good dough, so I only want the best, not this cheap phony bamboo crap! OK, first off, I’m no fanboy, I’m just giving the best opinion I can give and I’ll do it in segments here. First off, the shipping, the timely arrival, blah blah blah, who cares, but that is still rated at 5 stars. Arrived and looked as described. I got this in a box, pulled it out, let it breathe, tossed it on the bed and did other stuff and came back to a MAN PILLOW.